The Movie Sleuth: Videos: Why Was The PS1 So Successful? Videos: Why Was The PS1 So Successful? This is a new video from GaminngBolt that lists why the PS1 was so successful. 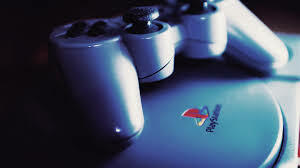 One of the most successful consoles ever, the PS! ushered in the dominance of the Sony brand and released many games that developed into well-known franchises. But, why was it so successful? Check out the video below.